Having a single WiFi access point in your home is so 2015. You can step into the modern era of WiFi with a mesh router today at a sizable discount. Rakuten has Google Wifi 3-packs on sale for $239.99. That's $50 off the usual price. 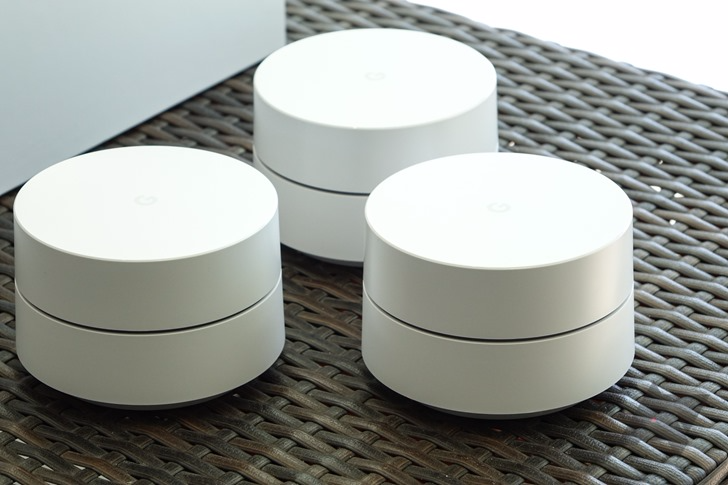 Google Wifi is an AC1200 router system that sets up an expandable mesh network in your home. You can start with one, two, three, or more APs and add more if needed. The three-pack should be enough for all by the largest spaces. One potential shortcoming is there's no dedicated backhaul for the mesh, but that should only cause a bit of overhead that won't matter unless you've got a very fast internet connection or are moving huge files across devices. Now, the list price on Rakuten is still $290, but you can get the price down with a coupon code. Enter FLASH20 during checkout and you knock $50 off the price. Shipping is free, but you might have to pay sales tax if you're in certain states. It looks like the coupon code works on a lot of things—almost all the things, in fact. It's 20% off site-wide at Rakuten, so you can grab things like Google Home on the cheap, too. You have to spend at least $50, though.